We are lucky to have the NHS in this country and there can be little doubt that it has transformed the health of the nation since it started in 1948. Sadly though, the NHS is at breaking point and access to prompt medical care can be a lottery with varying standards of care, especially for non-emergency conditions. These are some of the reasons why many people consider PMI. The main benefits of PMI are that you can choose when you have your treatment, which consultant you go to and avoid lengthy NHS waiting times. You can often also get access to expensive cancer drugs that the NHS may not be able to fund. Overall, PMI gives you more choices. It is important to understand what your policy is designed to cover. The policy won’t cover pre-existing problems or the management of incurable chronic problems. The principle is that the policy is intended to cover the treatment of “Acute” medical problems – i.e something that can be treated in order to make you better. Once you have decided that you want PMI, how can you arrange cover? You could go online but the market is complex and there is a lot to consider when making your choice. Some insurers sell direct but remember that they will only offer their own policies and this may be on a “non-advised” basis meaning that you are given a choice of policies and prices but no advice as to whether they are suitable. At Flexible Health we are FCA regulated Independent Healthcare specialists so are qualified to give advice and recommendations for individuals, company schemes and international clients. We look at most insurers in the market to find the best policy for you, taking into account your previous medical problems, cover level, budget and hospital choice. Once your policy is in place we review it for you annually to ensure that it continues to be your best option. If you have an existing policy we may be able to transfer you to a more suitable policy with continued cover for previous problems, even mid way through your policy year. We may also be able to negotiate with your existing insurer to get a cheaper premium. Flexible Health are based in Edenbridge and we offer advice over the phone or in person. If you would like advice please call Julie Defago on Freephone 0800 849 7744. 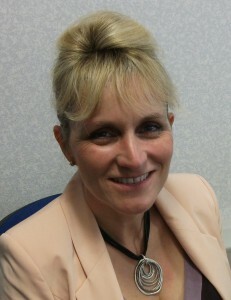 In the next issue Julie will discuss the benefits of Private Health Insurance for companies.